Get to know Garfield’s newest music teachers. After 41 long hours on the road, Garfield’s new Band Director Tomisha Price-Brock arrived in Seattle from Atlanta, Georgia, roughly three weeks into the school year. As Price-Brock adjusted to cold rainy weather, she began to settle into to the region. Garfield’s Jazz teacher Clarence Acox, who Price-Brock shares a mutual friend and former professor with, told her about the position opening. “She has a passion for teaching music, band specifically. She has taught at both the high school and college levels and seems to be highly respected by people who have worked with her,” Bonnie Hungate-Hawk, Chair of the Fine Arts Department at Garfield, said as a part of the interview committee for both Price-Brock and the new orchestra teacher. Price-Brock’s strong connection to music is rooted to her family, many of whom play instruments. Growing up surrounded by music, with a grandfather who sang in a gospel quartet and cousins who were also band directors, she knew that it was in her future somewhere. “It was music or I was going to become a bone specialist… those were my two choices,” Price-Brock said. “It doesn’t seem like a job. It’s the opportunity to do something I love. I learn a lot about culture through music,” Price-Brock said. She brings her musical passion with her no matter where she works. From Clark Atlanta University to Garfield High School, it’s part of who she is. 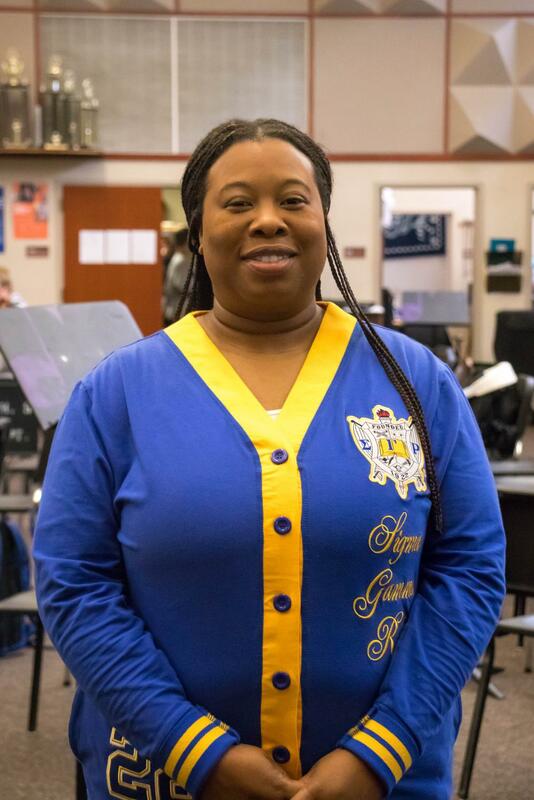 Price-Brock intends to bring new life into the marching band by incorporating her rich musical experience and culture while preparing her students for life after high school. “I’m setting up them up to be productive citizens no matter what their major is… I want them to be able to use their experience in band to catapult them wherever they want to go,” Price-Brock said. Ms. Price-Brock wasn’t the only person trekking across the country to teach at Garfield this year. 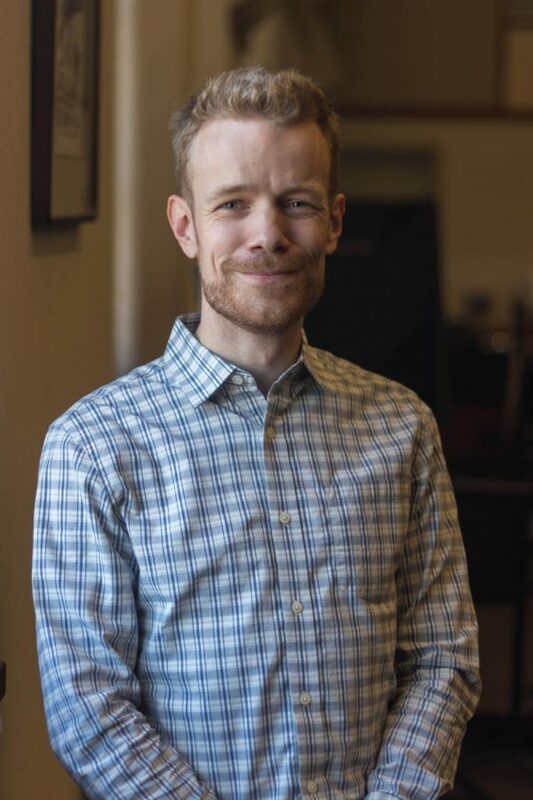 Just a few weeks earlier, in late August, Garfield’s new Orchestra Director Bryan Kolk, packed up his belongings in two days, left his home state of Michigan, and drove all the way to Seattle to live here for the second time. After earning his undergrad in music education and masters in performance from the University of Michigan, Kolk decided to move to Seattle. “I wanted to run away from home. I thought it was beautiful out here and I lived here for a couple of years teaching over at Redmond and gigging in the city,” Kolk said, recalling his time in the region. He later found himself returning to Michigan to direct the largest high school orchestra program in the state. “But I missed the mountains, and this wonderful job showed up, and the opportunity was too much to miss,” Kolk said. Kolk is using his love for music to help his students develop their own musical passions while elevating the orchestra program to its full potential. “When you approach an instrument the only way you get better is if you are actively analyzing what you are doing … which is a skill which is very difficult to master but is important to literally anything you do in life,” Kolk said. He hopes to give his students the skills they need to critically analyze their lives and respond creatively beyond the classroom.